The pet industry is booming lately as pet ownership is increasing among Americans and people are treating their pets more like children, offering them the best care possible. The pet care industry continued to prosper throughout the recession when many other businesses went bankrupt. Despite its profitability, there is a lot of competition out there, so how can you make your pet business stand out from the rest? The secret is top quality pet photography. Whether you run a dog walking service, a pooper-scooper service or a dog day care, whether you are a dog trainer, a pet sitter, a pet toy designer or a pet treat manufacturer, the marketing principle is the same: good photos sell. So many pet businesses pay attention to the quality of the services and products they sell, but they struggle to expand their clientele as they get lost among the masses of similar enterprises that exist. Upon taking a closer look at their marketing strategies, you will probably notice that they all have poor or average photos of animals on their website. An image creates a first impression of your company, so if you don’t spend the time to post attractive photos on your website, people will have a hard time trusting that you made an effort with anything else. Professional pet photography is a small investment that can really make a difference in your pet business’ future earnings. 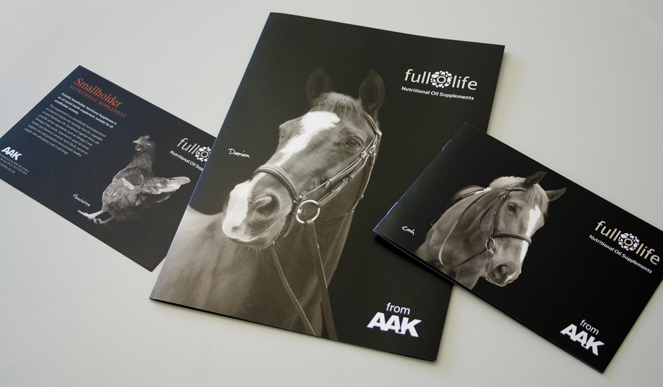 This is a good example of elegant equine photography used in brochures. Thanks to FullofLife for the photo to illustrate this topic. A lot of advertising is now done online, through social media platforms and company websites. Certain companies attract their customers solely by posting photos on Instagram, which proves that a picture really is worth a thousand words. Great pet photography can truly be the key to distinguishing your pet business. A great photo will attract more people to your website, giving you more publicity and higher chances of selling your products or services. Superior pet photography can also help your website look more serious and professional, proving that you are well experienced in your field. Snoopy the cat has more than 200,000 followers in his Instagram profile. Don't underestimate the power of Instagram or other social media platforms like Tumblr. Instagram has 90 million users that post 40 million photos per day and tap 8,500 likes per second (source: Instagram). 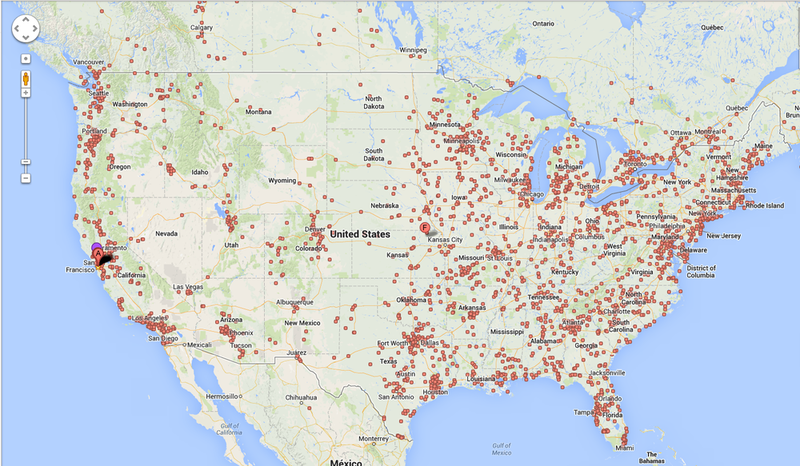 Tumblr has around 113.5 million posts a day! Along with increasing pet ownership, there is a growing demand for pet photography. Recent trends show that people online are searching for tons of pet pictures, because they all love to look at photos of cute pets. Even people who have very little in common can connect because of their love for animals. If you post a few excellent photographs of cute animals on your website, you are sure to develop a widespread following of viewers who want to see more. They will keep returning to your site to see the cute photos, thus increasing your chances of conversion. Great photographs are not only valuable online or on social media platforms, they can also be used for your offline marketing materials, such as newsletters, brochures, packaging, catalogs, posters, etc. As you know, these advertising and informational materials that you distribute to your potential clients are incredibly important to the success of your business. They need to be tailored by a professional photographer who understands what your goals are. Whether online or off, I can help you create a portfolio of great images that reflect the true spirit of your pet business. Photo by Frame Your Pet. This photo is part of a commissioned work for CAVA Horse training center, Spain. You will surely notice a return on your investment in no time as more and more people are attracted by your stunning images. The more appealing your photos are, the longer people will stay on your website, or read your printed materials, thus increasing the likelihood that they will feel positively about your business and engage your services. If you are in the pet business and you are thinking of hiring a specialist contact me today for superior pet photography and watch your pet business grow! Related posts: Tips to choose the right pet photographer. Did you find this article interesting? Subscribe to the newsletter (see the footer) and share the post with your friends! The truth of the matter is the answer to this question is multifaceted. Much of the cost of a photographic print produced by a professional photographer has a lot to do with the time, equipment costs, artistic vision and reputation of the photographer not to mention expertise and the usual costs of running a legitimate business. In this example, the time spent per client can range from just under 13 hours to 19 hours – dependent on the photographer’s level of service. This is time dedicated only to ONE session. When the photographer charges $150-$300 for the photo shoot (aka SESSION FEE) you are not just paying for the two hours of session time, you are paying the photographer for 12-19 hours complete time for your session. Regarding equipment costs, a good quality professional camera with a selection of good optical quality lenses and digital storage mediums and computer set up can run from $10,000-$30,000 costs dependent on the photographer. Even though you can purchase a really good quality digital SLR for about $2100 there are still other costs related to photography. A good lens for portrait photography can run from $900 to $2500. A dependable computer system with software loaded for business and creative usage can run $2500 to $8000 dependent on the photographer. Then come lab costs for specialty products. A good photographer knows their professional lab is an integral part of their success. These labs often cost more and offer a range of products that allows the custom photographer to continually offer new, innovative products for the discerning client. Discussion on other costs of running a photography business could take awhile so we’ll skip many of the intricate details. An overview: the costs of running the business, taxes, studio rental/mortgage if the photographer has ownership of a dedicated studio, vehicular costs, costs of advertising/marketing, costs of sample pieces that the photographer will likely bring to your session, etc. APPLES to ORANGES to BANANAS: Often times clients will mention to their photographer that X studio in the mall/department store only charges $19.99 for an 8×10 “sheet” or they may mention other things related to discount photography chains. The fact is those discount chains make their money on volume, not on customized 1:1 service. In February 2007 a company who has leased photography retail space in a rather well known discount retailer closed down 500 of their portrait studios across the nation. The reason it happened is simple, you cannot make money on 99¢ “professional” prints if you do not sell enough of them. Interestingly enough – those same studios that offer the loss leader packages often charge much much more for their a la carte pricing vs. many custom photographers (as high as $40-50 for an 8×10). A little history – the whole reason the big department stores began offering portrait services in the first place was to get you, the savvy consumer, in through their door so that you could spend more money with them in other departments. Your “PORTRAITS” are considered the “loss leader”. Your portraits that are meant to symbolize a once-in-a-lifetime stage in your child’s life are part of what a store considers a way to get you in there door to spend more money on goods that you might not really want or need but because you’re there “anyway” you buy. Also keep in mind that when you go to a chain studio, as a consumer, you don’t have the benefit of 1:1 attention for 2 hours at your home where your pet is allowed to explore, play and be comfortable in their home environment, nor do you get the experience that many custom photographers are known for as well as the lovely captures of natural expressions. You simply get a bare bones, “SAY CHEESE” experience. REPUTATION/EXPERTISE of the PHOTOGRAPHER: There is an old story about a ship that cost a company millions of dollars. Something went wrong in the engine room and the ship was stuck in dock. They called various “experts” who spent weeks trying to fix the issue to no avail and at a cost of tens of thousands of dollars. Finally a older gentleman was called in who simply brought in his small tool bag and a hammer. He set about pinging on various parts of the vast engine with his hammer, finally settling on one area. He spent a few minutes pinging in that area, took out a few tools and fixed whatever what was wrong. After a few moments the man straightened up, looked at the captain and instructed him to “start her up.” The captain disbelievingly went to get the engines started while the man sat in the engine room listening as the engine roared to life. The man tipped his hat as he exited the ship to the staff who sat dumbfounded because they had seen all the experts come on board for days with their expensive equipment only to have the ship not fixed. This man did it in a few minutes with a few pings of his hammer! 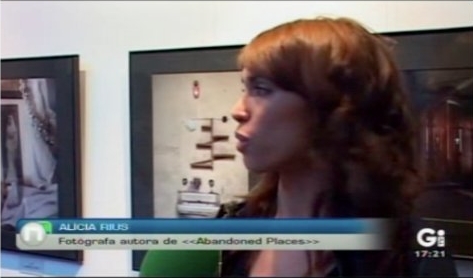 Alicia Rius (me) on National TV in Spain. Now I’m not saying that photographers fix large ships but being in demand, being well known for quality work, having a good reputation often costs time on the photographer’s part (years of practice, study, experience, etc). A photographer’s expertise comes at a cost, their time learning their craft and learning the intricacies of lighting and the commitment put forth on their end to create a persona about their business that oozes professionalism. A great number of photographers go a very long time from the time that they purchase their first good camera to making money at the business of photography. Many photographers, when first starting out, rush in thinking that the business will be easily profitable in no time, how expensive could it be to get a camera and use it to create their dream? These photographers often undervalue what they do because they have the realization that they do not have experience or expertise but are very adept at pushing the shutter on the camera. Many times these casual “professionals” neglect to factor in the cost of business, the cost of equipment, software, back ups, etc... When you hire a photographer of sound reputation, you are hiring an expert, one that knows that they must always reinvest in their business to create the reputation of being top notch. To create good work a photographer possesses not only sound knowledge in the technical and creative aspects of photography but also good, reliable equipment and back up equipment. The photographer who desires to be known as better/best/unparalelled reputation-wise knows that the most important thing they can do for their business is reliability and dependability. This is how reputations get built. Good work often is a wonderful side product of building that good reputation. I hope this (lengthy) article helps shed some light on WHY a custom photographer is a better choice for your family’s memories. The photographs that are produced as a result of the professionalism and dedication that your photographer has will be cherished for a lifetime (or more) and great thought and consideration should be placed into hiring who is right for your family’s most precious investment. This article was written by Marianne Drenthe of Marmalade Photography and can be found at the Professional Child Photography. Did you find this article interesting? Share this post with your friends! Join my email Club and don't miss any post.